Now in its fifth year, Sounds From The Other City takes place across the sprawling, multi-venue Chapel Street in the fag end of Salford. Its aim is to provide local promoters with settings to showcase talent, with this year’s festival a complete sell out. 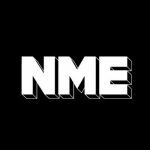 New Manchester success stories are growing by the month (if you haven’t seen Hurts and Everything Everything on the NME Radar Tour, why not?) and there’s a queue of talent ready to make the step up. SFTOC HQ for 2010 is artist haven Islington Mill, but over at The Old Pint Pot (next door to the University) local DJs Bring On The Dancing Horses warm up a crowd saturated from the previous night’s LCD Soundsystem show across town. Bright young-uns Dutch Uncles perform early to a packed bar, showing why they’re still one of Manchester’s best hopes for success. Singer Duncan is full up with eccentric Bruce Grobbelaar shapes while guitarist Sped is a messy, heads down, fret boy genius in the making. New single ‘The Ink’ (out 31st May on promising label Love & Disaster) is the pick of a performance that takes in prog, minimal-garde and big indie-rock. Disappointingly, current A&R darlings Wu Lyf are a late pull out, but upstairs at the Kings Arms a collaboration between the Mind on Fire/Wotgodforgot club nights provide intriguing instrumental three piece Sirconical. Taking in bass-heavy bombs and frighteningly sharp drumming, they’re one of the finds of the day. Back at the ‘Pint Pot stand May68, an electronic five some with enough pop hooks inside them to frighten Pete Waterman. Usually a more placid bunch onstage, today they’re tripping over themselves in nervous energy. Singer Jude is a giddy mess of icy stares and tumbling dancing; ‘My Ways’ (a girl-boy electro-pop breakup tuned to a Juan Maclean glitch beat) claims their set highlight. Next arrive scarily superb youngsters Egyptian Hip Hop who spit out a raucous, ridiculous set of righteous post punk. Their faultless rhythm section creates a cacophonous noise that blends Can percussion with Happy Monday funk and upfront they’ve enough sonic boom to create a seamless, strangulating 40 minutes. Outstanding. In the downstairs bar (hosted by Postcards From Manchester; a group of DJs and ‘zines including the consistently ace Pull Yourself Together) we watch Help Stamp Out Loneliness fire up their heavy indie-pop to a rammed bar, which later runs out of scampi fries and lager. Formerly of jangle popsters Language of Flowers, guitarist Bentley and bassist Colm have put together a band who produce a marmite mix of Stereolab pop and Smiths strumming. Tonight they’re punchy, loud and exhilarating to watch. What struck me at SFTOC was the diversity on offer at each venue and the hunger present in performers and their audiences. As it’s hard to give full taste of everything present at the festival, it’s impossible to concretely sum up Manchester’s music at the current time. Our advice is; get out and enjoy it for yourselves.